Khloe was born in Peterborough on September 2, 2014 weighing 8lbs 2oz. From the moment she was born we promised we would guide her and help her learn, be there for her and love her unconditionally. As Khloe began to grow, we quickly learned some of Khloes favourite things. 1. Khloe loved to eat! We didn’t have a picky eater on our hands! 2. Khloe loved to crawl to get the dog food! Whenever there was complete silence in the house, you knew Khloe was crawling to get her hands in the dog's dishes. 3. Khloe LOVED to dance. Dancing always puts a smile on her face! Khloe had been in daycare a few months when some of the staff expressed concern that Khloe would not bear any weight on her legs and that she was beginning to crawl less. We had noticed a decline at home also, but only assumed it is because we catered to her. After another routine doctor’s appointment, our doctor thought it was strange that Khloe was now declining in her movement and referred us to a pediatrician. She didn’t want us to worry but said it was important for him to assess Khloe to rule out any serious underlying health concerns. December 24, 2015 - Christmas Eve we took Khloe to the outpatient clinic at the hospital. The doctors realized after MRI’s at Sick Kid’s that Khloe had an arachnoid cyst stretching 7 vertebrae long in her spine. They were confident this was preventing the messages from her brain traveling down to her legs. Just as a precaution to rule out all other possibilities, Khloe had final blood work done that was sent away for testing. 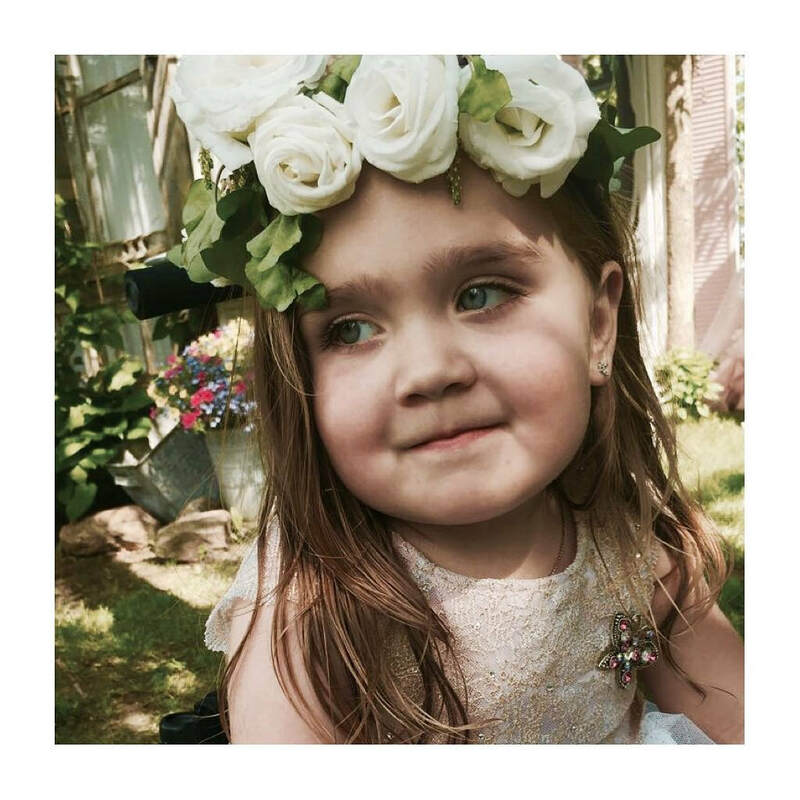 Previous to finding the cyst in her spine, the doctors mentioned the idea of SMA and genetic diseases, but they were confident Khloe did not have this. The plan for surgery was that they would drain the cyst, eliminating any blockages. One week before surgery, I received a call that Khloe’s blood work had come back. The neurology clinic told me we needed to be seen at Sick Kids the following day. With no explanation over the phone, we knew something was wrong. The neurologist broke the news, Khloe had tested positive for Spinal Muscular Atrophy. Our whole world came crashing down. We didn’t want to believe it was true. "There is no cure," were the words that just kept ringing in my head. Dealing with Khloe’s diagnosis was a struggle for a long time. We just couldn’t accept this was happening. We didn’t want her life to be any different than we had imagined. 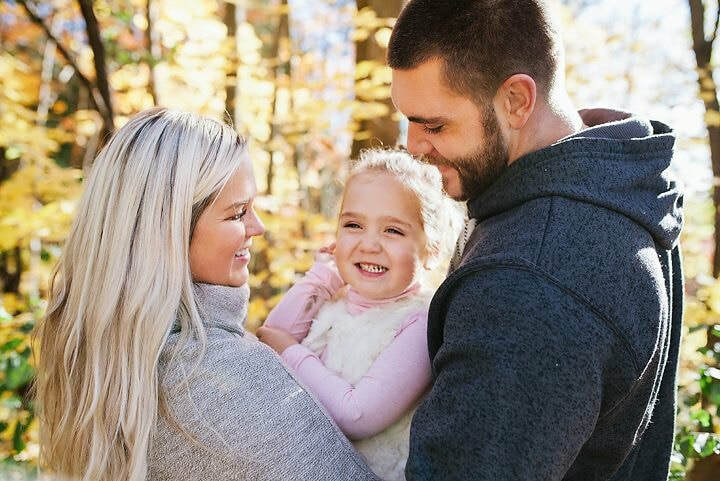 We came to accept that we needed to be strong for Khloe and we couldn’t let her diagnosis consume us. We had to accept the fact that life threw us a curve ball, but how we dealt with it is what would determine our strength and Khloe's happiness. We leaned on each other more than ever and used whatever mental reservoir of strength we had left to pull us through rather than fall apart. Some days were harder than others, we knew we would have to adapt and our life was going to be very different. We cherish everyday we have with Khloe and value our family time together. Everyday Khloe teaches us new things. She brings smiles to our faces and makes us laugh. Khloe lights up any room she is in. She is our little firecracker. Khloe is, what keeps us going. We have learned to always remain positive and live with hope that someday there will be a cure. We thank god we have been blessed with such an amazing strong little girl.